At checkout, apply coupon code TRAIN for 25% discount. Good Dog! 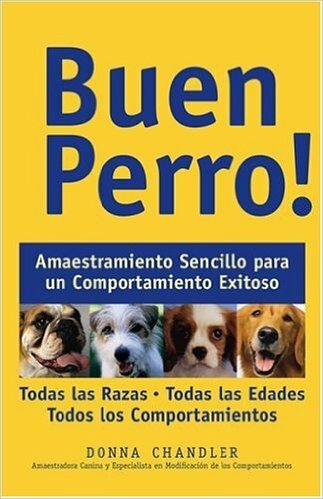 or Buen Perro! Thousands of dogs are abandoned or given to shelters every year because the owners don't understand how to train and housebreak their pets properly. 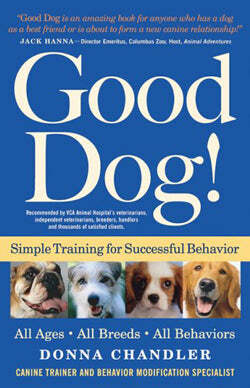 With Donna Chandler's dog training book, pet owners will learn to train their dogs in just minutes a day. Let’s Bring Your New Puppy or Dog Home! Giving Effective Commands and Training With "Dog Whispering"
When Should I See My Veterinarian? ¡Vamos a traer a casa a un nuevo cachorro o perro! ¿Cuándo debería visitar a mi veterinario?